Emma stands tall and proud. 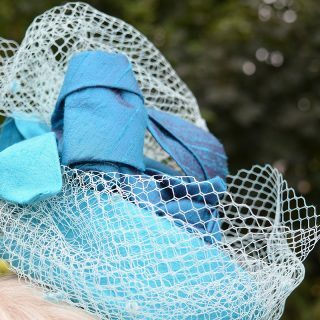 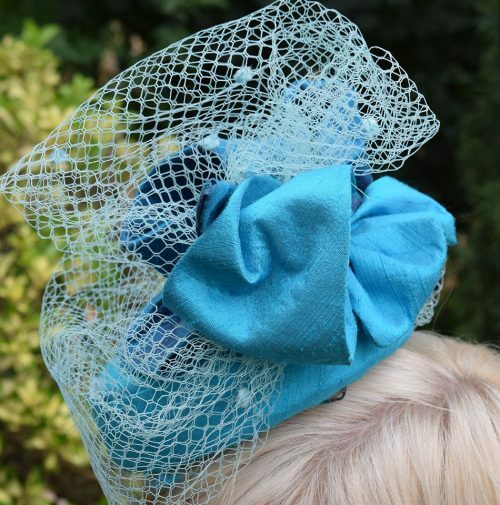 A turquoise silk dupion pill box hat with comb. 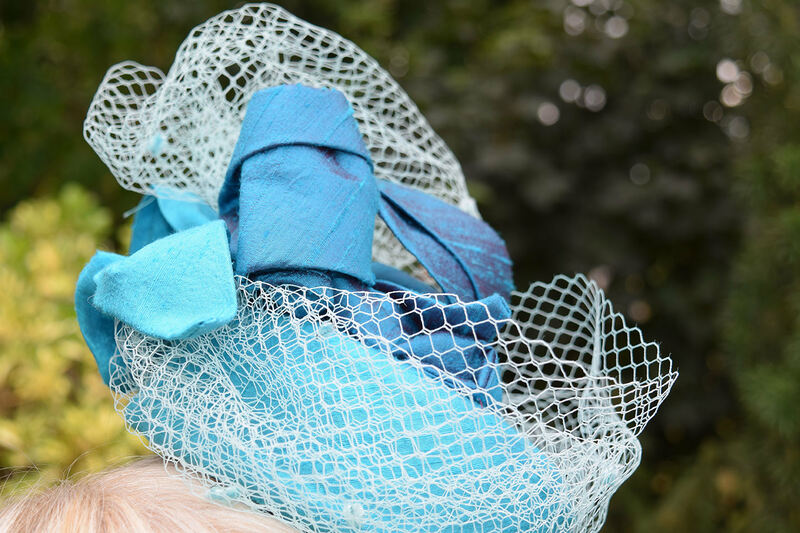 Sitting in a prominent position this two-toned turquoise silk hat inherits the traditional spirit of the pill box. 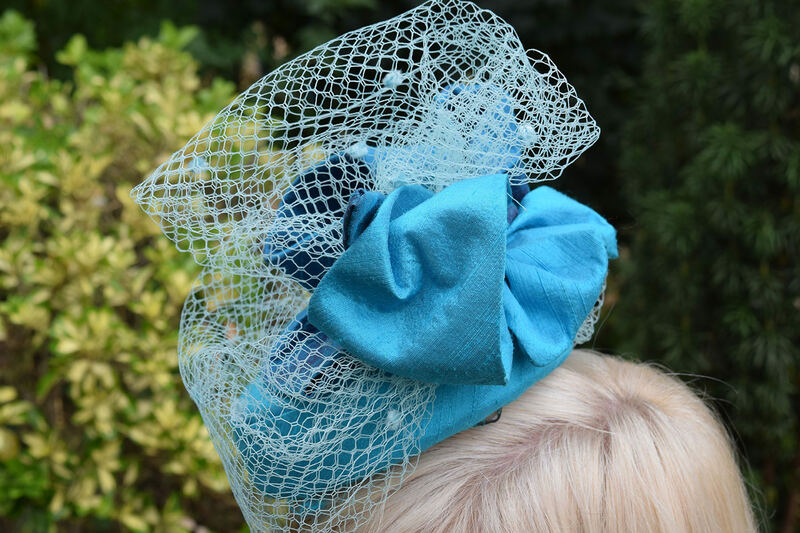 The beautiful veiling enhances the texture of the dupion. 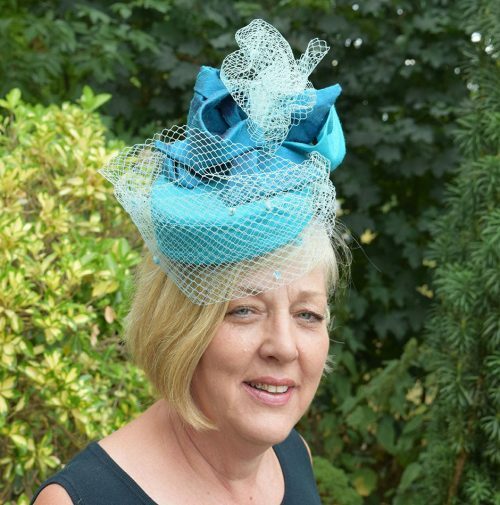 This shape is suitable for most people.